Squeezing the story of the Titanic’s maiden voyage into two hours and twenty minutes of theatre is no mean feat. 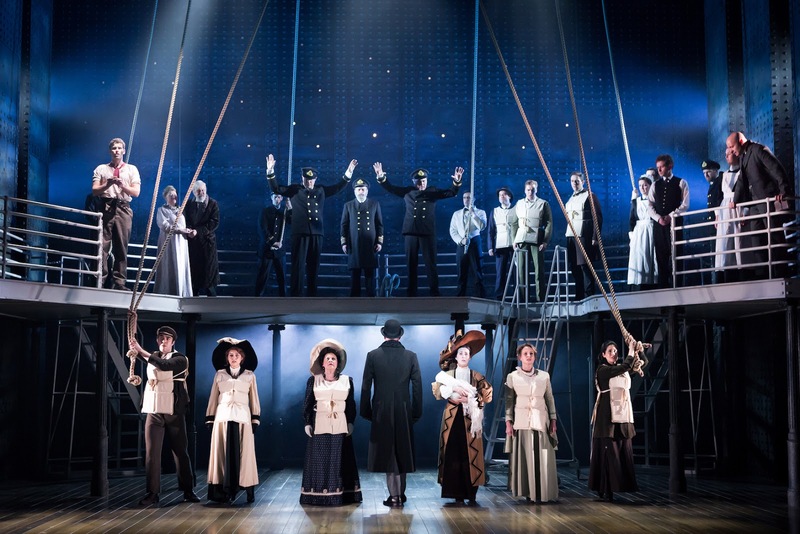 Within fifteen minutes of musical director Mark Aspinall raising his baton, Titanic The Musical pulls out of Southampton harbour having introduced the architect, owner and captain along with a few crew members and the different classes of passengers. Factoids about the dimensions and provisions are sung. The aisles of the stalls are used to give a feeling of length to David Woodhead’s largely flat set which consists of a two level gantry with metal steps on wheels that become quite a distraction with their constant movement after the interval. 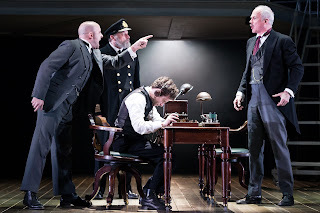 Previous Titanic-related productions I’ve reviewed have concentrated on the building of the structure (The Boat Factory) or the inquiry held after its sinking (Scenes from the British Wreck Commissioner’s Inquiry, 1912). This one just tackles the voyage. The ensemble cast of 25 belt out the four, five and perhaps even six part harmonies that Maury Yeston has penned. In places, it’s nearly more operatic than musical theatre. The Morse Code riff was a noble way of explaining the Marconi operators. The best tune in the score – Godspeed Titanic – is cleverly reprieved at the end, lifting the emotion out of tragedy and back towards hope. The score’s success is not in crafting hummable tunes but in the way it sets of the mood for each scene. Elaborate violin bowing and frantic harpsichord playing on top of the deep cello tones are all very effective. Post collision, the cacophonous score ratcheted up the sense of panic. Unusually for the Grand Opera House, the front of house PA is distributed with smaller speakers dotted across the auditorium. 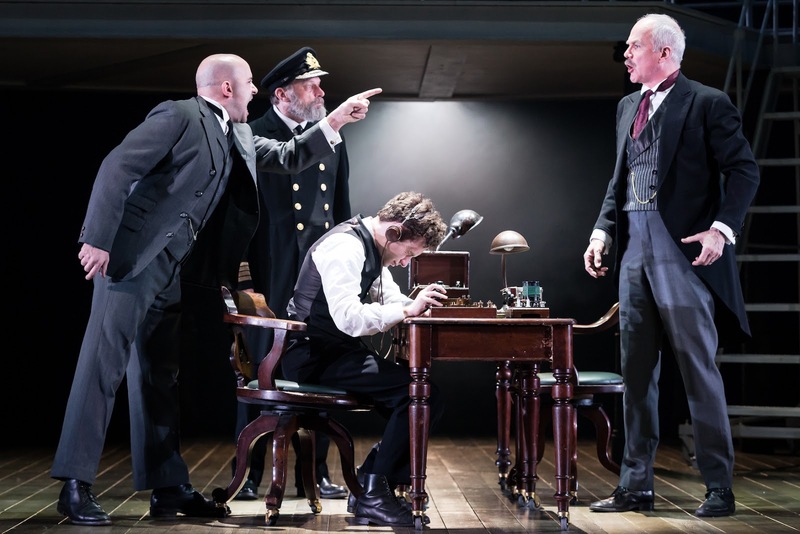 It definitely helped with the clarity and diction of the voices, but at times the volume of singing and position of the actors around the stage and aisles seemed to trigger feedback: but that’ll be quickly ironed out. More concerning was the noticeable whirring sound coming from somewhere above the audience’s heads during the quiet scenes: something up there has a very noisy fan. 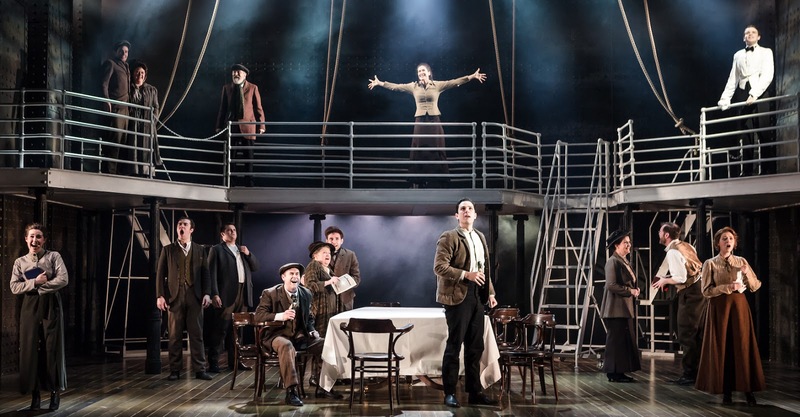 Howard Hudson’s lighting design cast some great shadows, with the upper railings creating a moving bow on the curtain below. Subwoofers powerfully transmitted the collision of steel and ice throughout the stalls, though the sinking was very quiet and listless other than one final moment when the set sprung to life. Playing Kate McGowan (one of the three Kates), Victoria Serra’s voice soared high above the rest of the cast in the ensemble numbers. The sweet Straus family (Dudley Rogers and Judith Street) provided the most moving moment of the performance, though there was a poignancy to a memorial scene towards the show’s conclusion. 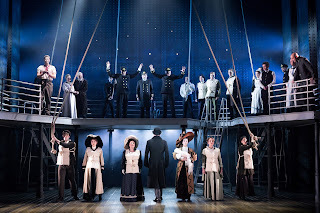 Having never quite fully jumped aboard the Titanic centenary bandwagon, I needed to be won round to why the world needed another nautical stage show. The quality of the storytelling shone through. Peter Stone’s book jams in a lot of moving parts with an analysis of class, the upstairs downstairs nature of the ship’s crew (though the tale of those below decks is the least well told aspect of the story), as well as the onboard tensions around the owner’s ambition for a speedy crossing. The Thomas Andrews/J Bruce Ismay/Captain Edward Smith triangle and their fingerpointing number The Blame was particularly well observed, with Simon Green playing the owner towering above everyone else’s contradiction, and Philip Rham getting caught up in the safety-averse competitive race across the Atlantic. Italian-born Greg Castiglioni played Thomas Andrews with a fabulous Belfast accent. 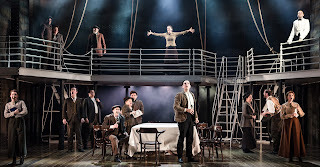 “It could’ve been crass but it wasn’t” was how I phrased it to the Belfast Telegraph’s David Young during the interval. It’s much better than I expected: riveting in places and never dull. 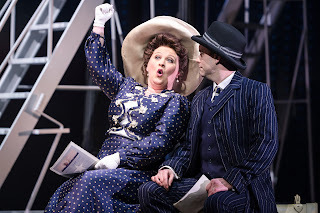 Titanic the Musical is at the Grand Opera House until Saturday 28 April.